Dr. Jo works with patients throughout the lifespan presenting with various brain-based disorders. She is licensed to practice in California and New York and is board certified in clinical neuropsychology by the American Board of Professional Psychology (ABPP). She completed her undergraduate degree at Duke University and her doctorate degree in psychology at the California School of Professional Psychology. 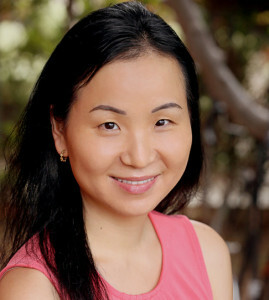 Dr. Jo completed her psychology internship at Childrens Hospital Los Angeles and completed post-doctoral training in neuropsychology at Children’s Hospital of Philadelphia and Bergen Neuropsychology Group, the latter which included rotations through Weill-Cornell Medical Center & Columbia-Presbyterian Medical Center. Dr. Jo has held faculty and clinical appointments at Columbia-Presyterian Medical Center and SUNY Downstate Medical Center. She is currently on staff at Cedars-Sinai Medical Center in the Dept. of Rehabilitation working with children and adults. Dr. Jo is a member of the American Board of Professional Psychology (ABPP), American Board of Clinical Neuropsychology (ABCN) , International Neuropsychological Society (INS) , and National Academy of Neuropsychology (NAN).